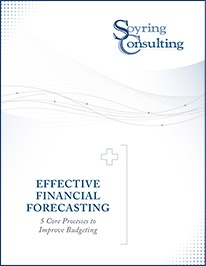 Departmental budgeting and forecasting is a constant tug of war between Operations and Finance. The difficulty in developing a reasonable budget leads many hospitals and health systems to simply build off the previous year’s budget. Given the speed at which today’s healthcare environment changes, all healthcare organizations need to ensure their annual budgeting process offers the level of sophistication and flexibility necessary to thrive in the market. Soyring Consulting provides managerial and operational consulting services to healthcare facilities of all sizes, including For-profit, Not-for-profit, Community, University, and Faith-based facilities and systems. One of our key areas of focus is Cost Savings and Efficiency.